Please complete the form below to nominate your candidate for the 2018 Genie Hayes Award. Deadline for nominations is February 28, 2018. How long has nominee been a member of Healthy Charlotte Alliance? 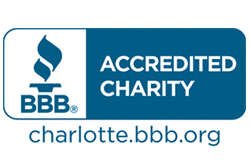 Healthy Charlotte Alliance has been awarded the BBB Accredited Charity Seal for Recognition as a credible, trustworthy charity. Healthy Charlotte Alliance has been awarded the Silver Seal for transparency as a trustworthy, non-profit charity.